Challenge is offering $100 off for early bird registration. Register HERE before June 30, 2016. 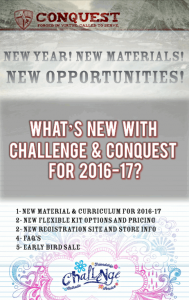 What’s new in Challenge and Conquest for 2016-17 ?